Last spring, the four senior class presidents gathered their new Cabinet members in the back of a U-Haul truck – then accidentally crashed into a Wilbur parking lot overhang (COURTNEY DOUGLAS). The senior class presidents contest several pieces of information in a Nov. 20 report published by The Fountain Hopper, an anonymously written electronic campus publication. On the evening of May 23, 2017, the four senior class presidents – Ibrahim Bharmal ’18, Rachel Morrow ’18, Madilyn Ontiveros ’18 and Jack Seaton ’18 – gathered their recently appointed class cabinet members at Lake Lagunita for an activity to commemorate the start of their term. Transporting people in the back of a U-Haul without proper seating apparatus is illegal in California. According to the CHP report, with the cabinet members in the U-Haul’s rear area, the four presidents, who sat in the cab, drove the vehicle to the Wilbur Field garage. Underestimating the height of the U-Haul, the driver hit the garage’s concrete overhang. The presidents did not specify to The Daily who among them was driving, but a gendered pronoun left on the last page of the CHP report revealed that one of the male presidents – either Bharmal or Seaton – was behind the wheel. After the collision, a member of the cabinet called 911, and emergency medical officials, as well as the CHP, arrived. The Fountain Hopper reported that “at least five injuries, including a broken nose and at least one concussion” resulted from the accident. The presidents did not address cabinet members’ specific injuries in their statement to The Daily and declined to speak on the record. A redacted accident report from CHP recommended the case be forwarded to the Santa Clara County District Attorney’s office because the driver had allowed passengers to ride in a part of a cab not meant for passengers. Otherwise, conditions cited were normal, the report said. Although Juan B. Garcia, the CHP officer who authored the report, ultimately recommended that the report be sent to the Santa Clara County District Attorney “for review and prosecution” of the driver, the class presidents said they had no interactions with law enforcement beyond the night of the incident. The Daily reached out to all senior class cabinet members listed online, all of whom either redirected requests for comment to other parties or did not respond. The Office of Community Standards did not respond to The Daily’s request for a report. The Fountain Hopper cited anonymous “tipsters” who reported that “several intoxicated class cabinet members fled the scene before the cops showed up.” In a joint statement to The Daily, all four presidents said that no “fleeing from the scene of any kind” took place. Not all members of the 20-student senior class cabinet were present at the event. The police report stated that 18 individuals were found in the rear of the U-Haul. The class presidents, though, said that 14 cabinet members were in the rear area and that 18 would have been impossible, because five cabinet members were abroad and one missed the event due to a scheduling conflict. When asked about possible reasons behind this numerical discrepancy, the presidents said that it is likely the CHP conflated the presidents – who were sitting in the front of the vehicle – and cabinet members, and that 18 total students were involved in the incident. The Fountain Hopper also reported that multiple class cabinet members showed up to the event intoxicated. The presidents contested this, claiming that no students drank at the event and that no students pre-gamed the event. As sophomore class presidents during the 2015-16 academic year, Bharmal, Morrow, Ontiveros and Seaton had planned similar event at the Lake Lagunita fire pits, at which – they wrote – the sophomore cabinet told stories, played games and made s’mores. The CHP report of the incident found that the driver was sober and the conditions of the scene were normal, meaning that weather was clear, roads were not slick, cell phones were not in use and there was no other traffic involved in the collision. The Fountain Hopper report alleged that Student Activities and Leadership (SAL) – which advises ASSU as well as the sophomore and junior class councils – knew about the crash and encouraged class cabinet members not to discuss it. In their statement to The Daily, the class presidents said that no one from SAL at any point told leaders or cabinet to keep quiet about the incident, adding that normal procedures for an investigation took place. “As is common procedure at Stanford, the Office of Community Standards conducted an investigation of our case, and went through the normal disciplinary action regarding accidents involving student groups,” they wrote. Nanci Howe, associate dean of student affairs and director of SAL, said privacy rules restricted her from talking about the specifics of the U-Haul crash but discussed general protocol. Stanford spokesperson E.J. Miranda referred The Daily to Howe on all questions. Typically, when there is an “area of concern,” Howe said, SAL advisors will meet with the student group and hear a firsthand, preliminary report of what happened. She said SAL has no power in judgement of cases and thus these preliminary interviews keep reporting to the Office of Community Standards (OCS) fair and consistent. OCS is in charge of handling cases of alleged misconduct on campus. In her experience, Howe said, groups are typically honest and forthcoming, allowing SAL to determine if the case rises to the level of OCS investigation. After an investigation is started by OCS, the process becomes confidential, meaning Howe is unable to comment on the case. Howe said these are “standard practices” and that OCS will have also conducted their own set of interviews as part of the investigation. 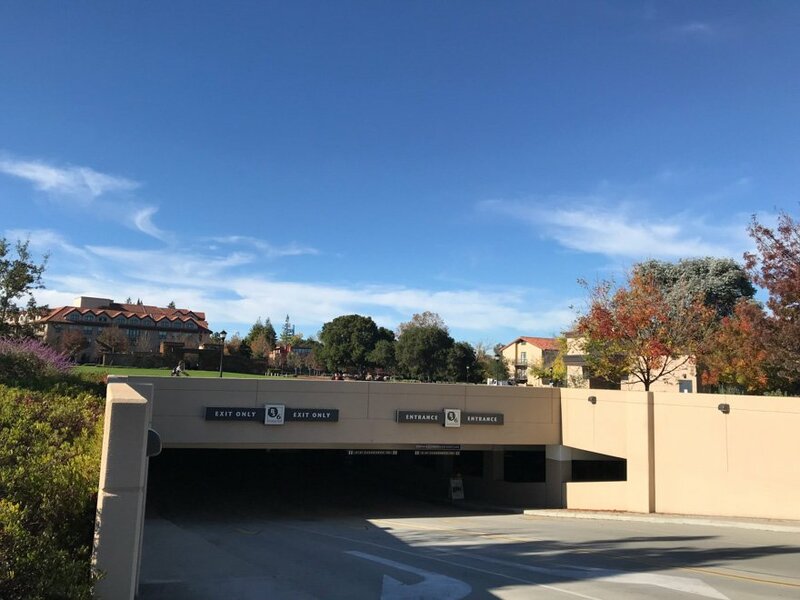 Emily Latham, who works for the Stanford Alumni Association and advises the senior class presidents specifically, expressed support for the class presidents despite the incident. The Fountain Hopper report claimed that the class presidents did not face disciplinary actions as a result of the incident, saying that there was a double standard for punishments against student government versus other groups such as Greek life. The presidents wrote in their statement that as part of disciplinary actions, OCS placed the class cabinet on social suspension and put the leaders through risk-management training. As part of the risk-management training, the presidents presented a plan to a board of seven Stanford administrators detailing potential risks that could occur at future events in the coming year and strategies for preventing them. Contact Gillian Brassil at gbrassil ‘at’ stanford.edu and Courtney Douglas at ccd4 ‘at’ stanford.edu.